Kern, Kristen. Book review of Meho, Lokman I. and Mona A. Nsouli. 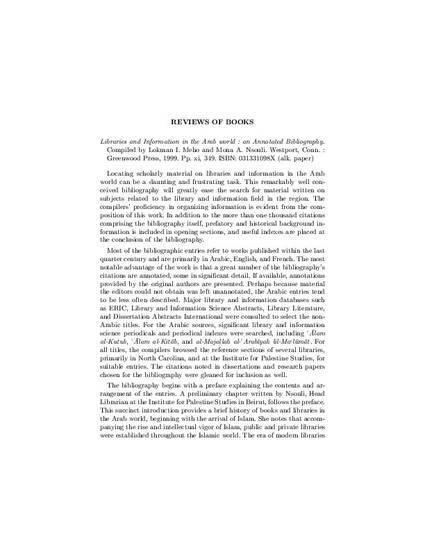 Libraries and Information in the Arab World : An Annotated Bibliography. Westport, Conn. : Greenwood Press, 1999. MELA Notes, Number 71-72 (Fall 2000-Spring, 2001): 1-2.